James Au-Yeung is a lecturer in psychology in London and with a background spanning computer science and language and linguistics. 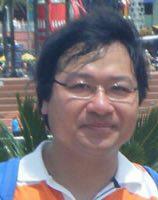 He has been in the field of psychology for 20 years and his research interest is in stuttering. He is currently an Associate Editor for the JFD and edited the proceedings for the Dublin congress. He has been the webmaster for the IFA since 2003.